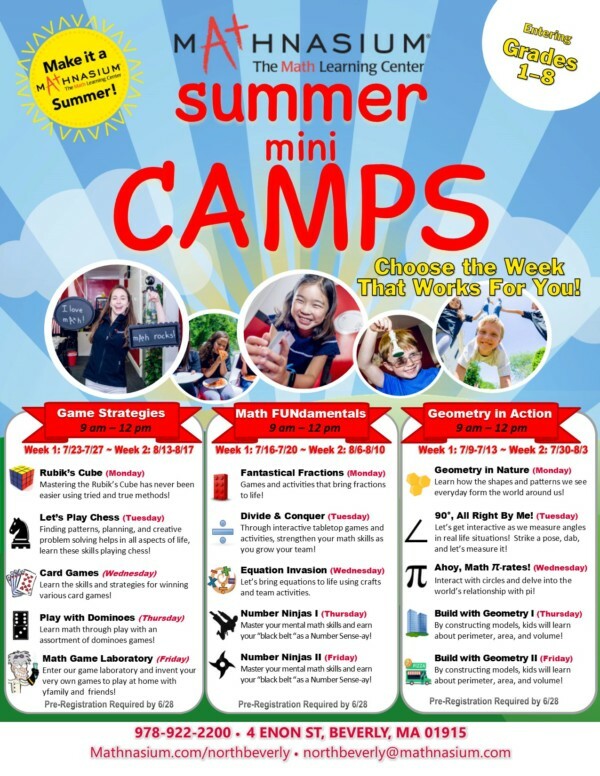 Check Out the UNIQUE Summer "Mini Camp" Workshops held at our center this summer! These are really fun STEM activities designed for grades 1-8 with hands-on activities, crafts & games to foster a love of math! 6 Weeks of Camps, Choose the Week(s) That Works for You! Pre-registration is required, contact us to sign up. Space is limited!